Pakalert Press » Georgia Governor Will Sign Best Gun Law In America Today At High Noon! Georgia Governor Will Sign Best Gun Law In America Today At High Noon! At noon Wednesday, Georgia Gov. 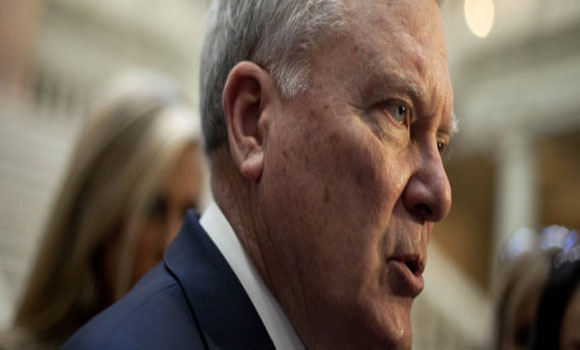 Nathan Deal is scheduled to sign the sweeping legislation into law. One of the most permissive state gun laws in the nation, it will allow licensed owners to carry firearms into more public places than at any time in the past century, including bars and government buildings that don’t have security checkpoints. The law also authorizes school districts to appoint staffers to carry firearms. No town in the U.S. has been as public about its support for guns as Kennesaw, population about 30,000, where city leaders for 30 years have required that every household have at least one gun. Video: Harry Reid’s BLM’s Next Victim: Red River Land Grab Happening Now, First Bundy Ranch Now This! is happening in this country. Finally Intelligence is creeping into Georgia.